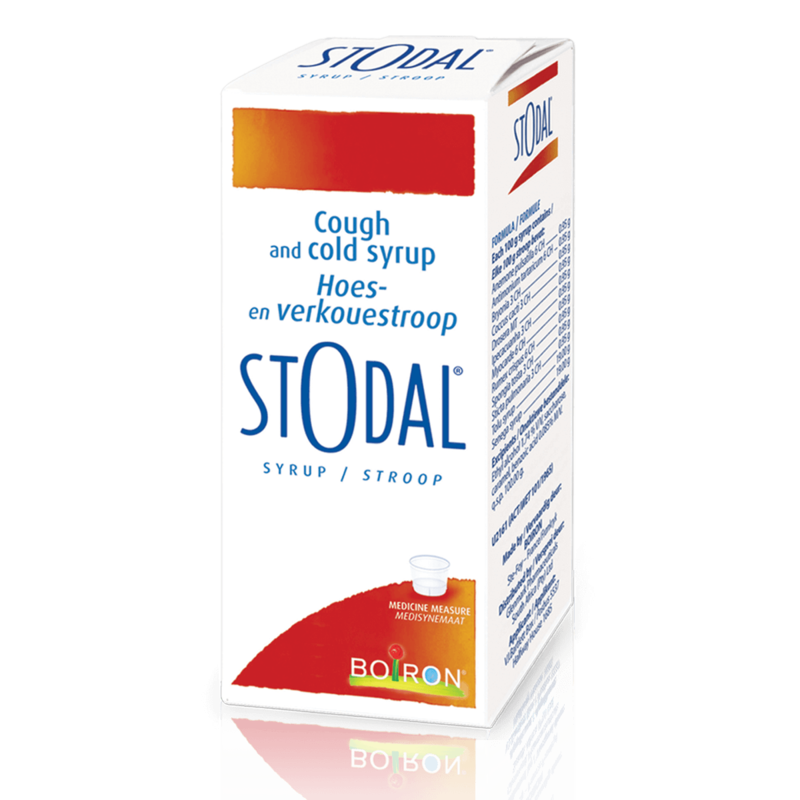 Stodal® syrup can assist with the relief of different types of coughs and colds. Thanks to its unique composition, Stodal® syrup has an advantage for patients with wet or dry coughs. 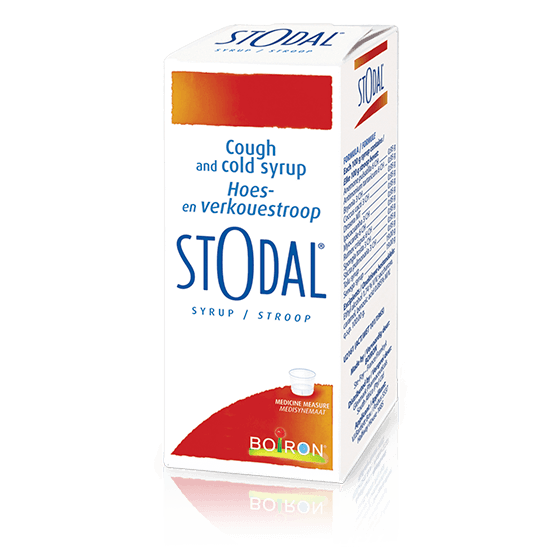 As documented in Homeopathic Literature, Stodal® cough syrup has a unique composition of ingredients to benefit patients with a wet or a dry cough. Thanks to its homeopathic ingredients, Stodal® does not cause any drowsiness and contains no stimulants. Stodal® is suitable for use by adults, children, the elderly, as well as those individuals on chronic medication. Take 15 ml 3 to 5 times per day. Stodal® syrup: Anemone pulsatilla 6 CH – 0.95 g, Antimonium tartaricum 6 CH – 0.95 g, Bryonia 3 CH – 0.95 g, Coccus cacti 3 CH – 0.95 g, Drosera MT – 0.95 g, Ipecacuanha 3 CH – 0.95 g, Myocarde 6 CH – 0.95 g, Rumex crispus 6 CH – 0.95 g, Spongia tosta 3 CH – 0.95 g, Sticta pulmonaria 3 CH – 0.95 g, Tolu syrup – 19.00 g, Senega syrup – 19.00 g, Excipient q.s.p. 100.00 g. Use in accordance with the principles of homeopathy. U2151 (Act 101/1965). This unregistered medicine has not been evaluated by the SAHPRA for its quality, safety or its intended use. Questions about Stodal Syrup? Please see below for any related information and downloadable resources.